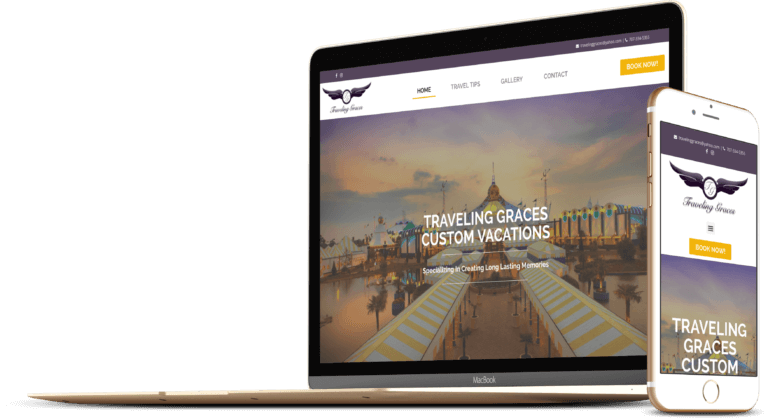 Traveling Graces Custom Vacations goal is to provide excellent service to their clients so they can enjoy their vacation with the least possible hassle and worry. We met with the owner, Jamia Davis, to help her build an online vision for her travel agency. She came with a clear roadmap of her goals. We set out to help her build a WordPress based website using her branding. Also, we setup a blog so she can document her own adventures going forward and connected MailChimp so she can stay in touch with her visitors and customers.